Contract Jason Richards at 605-381-1087 - The Real Estate Center of Spearfish- for info. Remarkable property centrally located on the outskirts of Whitewood and within 15 minutes of Spearfish or Deadwood but yet feels like a mountain retreat! Logging trails provide good access to all portions of this beautiful 116+/- acre property with abundant wildlife and excellent deer and turkey hunting. Included in the sale is a 16'x20' rustic cabin. The cabin is powered by a generator, has no running water, propane heat runs on 20lb or larger tank and has an outhouse with a composting toilet. 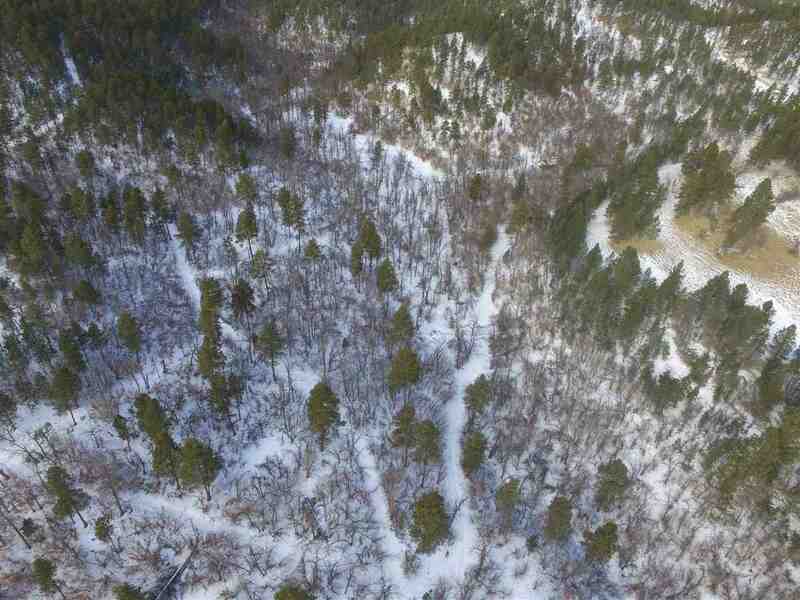 This is truly an amazing find in the Black Hills of SD with a rare combination of good access, wonderful views, great location, and seclusion. Listing agent must be present for all showings. Contract for deed a possibility. Black Hills Power is on the property, to the southeast of cabin around 425 yards. There is also an old well near power, seller has not used well and is unaware if it operational.